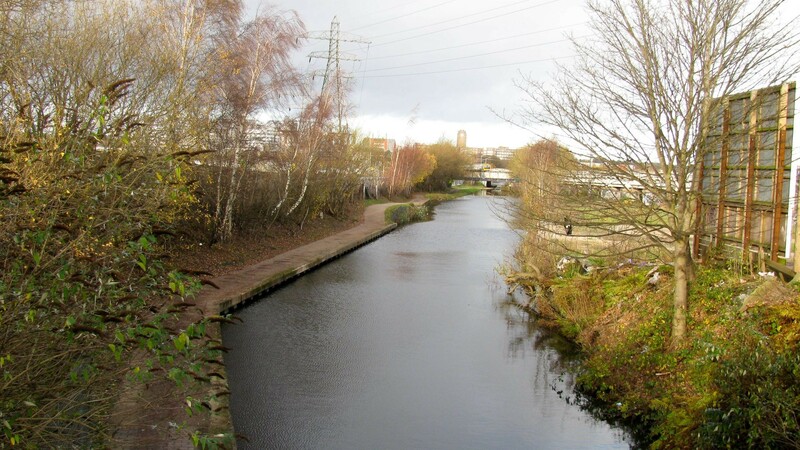 Looking north, along the Worcester & Birmingham Canal towards Birmingham from Bristol Road Bridge 80. The Dudley No 2 Canal once came in from the left, approximately where the raised section of towpath is, near the pylon. The Lapal Canal will soon provide an alternative route with the new junction a little nearer to the camera, close to this end of the straight section of towpath. The canal will be widened a little to the right to make turning at the junction easier, and creating a new winding point.